Thanks to the Team-BHP fan (he prefers to remain anonymous) who sent these images in. Heartfelt gratitude for sharing it with other enthusiasts via this page! 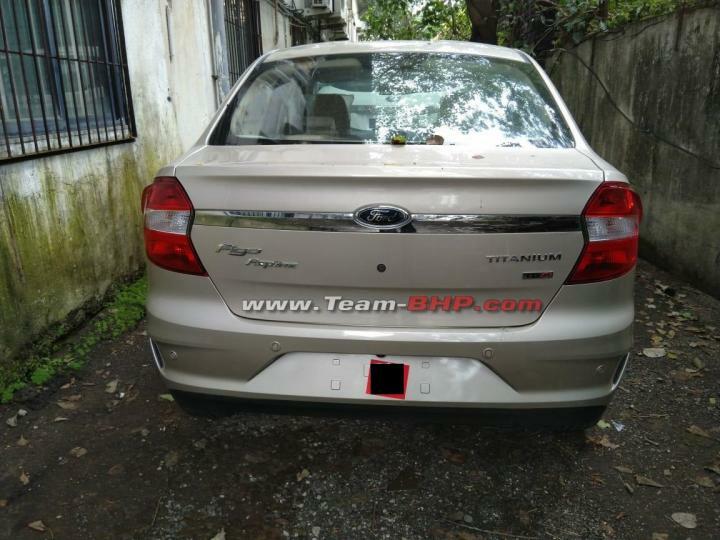 Uncamouflaged images of the Ford Aspire facelift have leaked online. The new images reveal details of the Titanium variant. 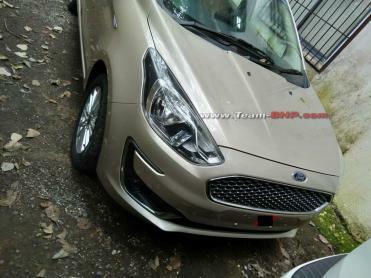 The spy images indicate that the Aspire facelift will get a new chrome grille flanked by revised headlamp clusters. The front bumper has been redesigned and features a wide air dam with fog lamp pods with C-shaped silver trim. 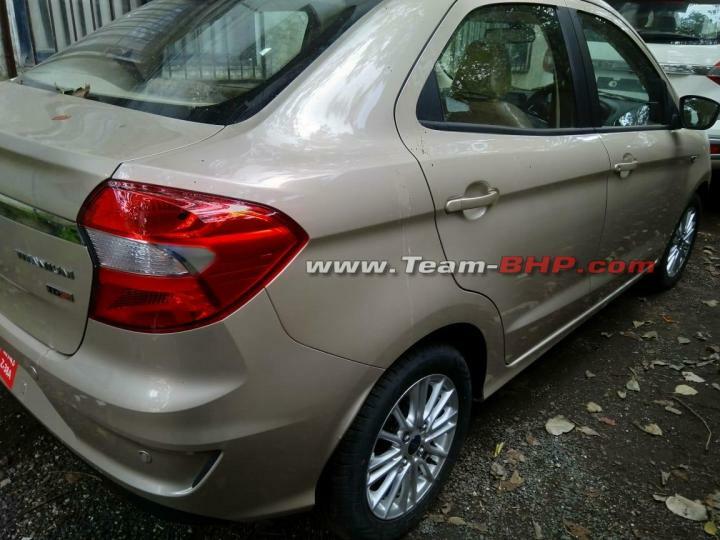 At the rear, the car gets a redesigned bumper and chrome garnish on the boot lid while the tail lamp clusters look similar to the outgoing model. It also gets a reverse parking camera on top of the number plate housing. The facelift version comes with a set of new multi-spoke alloy wheels. The Aspire facelift gets dual-tone interiors finished in beige and black with gloss black trim. The dashboard has been updated with a new centre console, which houses a floating touchscreen infotainment system. The car comes with a 3-spoke multi-function steering wheel and a 3-pod instrument cluster. Ford is likely to offer the new Aspire with a 1.2-litre, 3-cylinder Dragon Series petrol engine. Additionally, a 1.5-litre, 4-cylinder diesel unit will also be on offer. Transmission options might include a 5-speed manual and a 6-speed automatic. 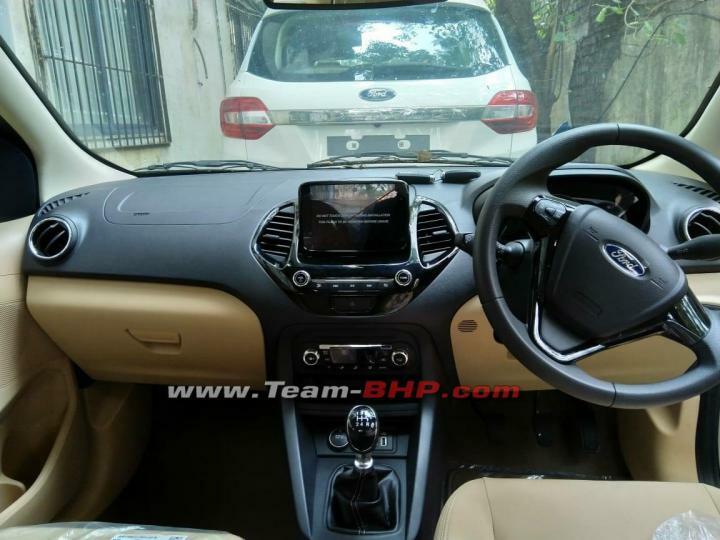 The Ford Aspire facelift is rumoured to be launched on October 4, 2018.